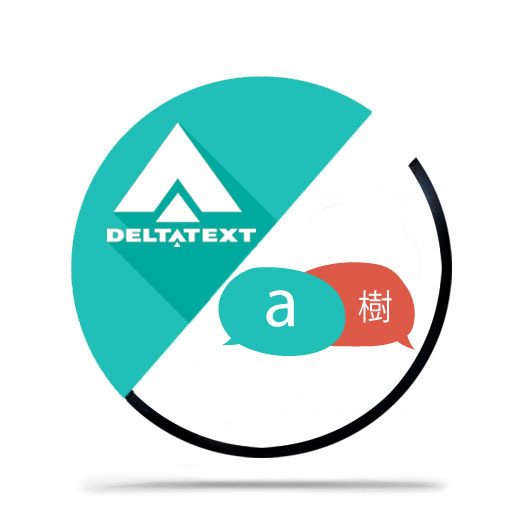 Deltatext is a Language Service Provider with over 18 years experience. This allows us to offer a more advanced system of quality control and document management, as we have the necessary tools and expertise to face the most demanding of projects. Thanks to our team of qualified and professional translators specialized in a large variety of fields, we can find the professional best matched to our over 3000 clients’ needs. Our cost-effective – and cost-saving – translation and language services are possible thanks to our online collaborative platform and our terminology and document management systems. As a company made up of linguists and engineers, we are committed to the Research, Use and Implementation of New Technologies in Translation and Linguistics. Our team aims at adapting the most recent advances to the Translation and Interpreting field, in order to solve each of our clients’ specific needs, whether it be the management of large projects or reorganizing a company’s internal Translation Department. Real-time interaction with our translators, revisers and project managers. Tried and tested urgent translation system. Periodic quality control meetings with our clients. Company Registered in the Mercantile Register of Madrid. Deltatext is certified by ISO 9001 and UNE-EN 15038, a quality guarantee. Contact us if you have any questions, or request a free quote for our services.